Marika Katou, a third year student at Hakuho Girls' Academy, is a legitimate space pirate with a Letter of Marque. Between her studies, leading her school's space yacht club, working part time at Cafe Lamp, and being the captain of the space pirate ship Bentenmaru, Marika's days are very busy. 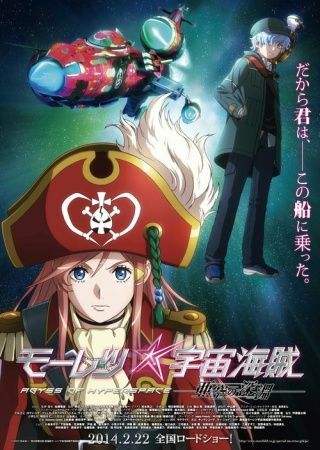 One day, Marika gets a job to rob a high-class passenger ship, and she discovers that on the passenger list is Kanata Mugen, a boy who owns a "galaxy pass". Thus, an adventure featuring a hyperspace race between pirates and one young boy begins.